The cherry blossoms have opened and are already mostly gone. The annual show is fleeting. For a week, if we are lucky, barely-pink clouds line the Tidal Basin and hover in front yards. Then, one morning, we wake up to discover that the pink clouds have been replaced by fresh green leaves. 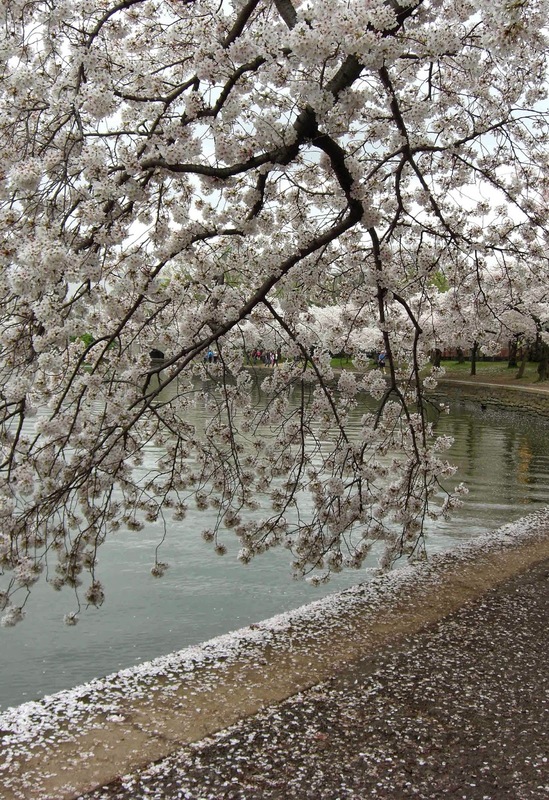 My favorite stage in the life of the cherry trees is that moment just past their peak. The slightest breeze releases showers of petals. They flutter like indecisive butterflies, then come to rest in a pink-tinted carpet. To stand in a cherry blossom shower is a blessing and a reminder to enjoy delights such as this whenever they appear.